Acacia pulchella, commonly known as Prickly Moses, has erupted throughout the forest. Like the Hovea and Kennedia, it is in the family Fabaceae and it is one of only a small number of Acacia species to have leaves, rather than phyllodes (see the Acacia Nervosa or Rib Wattle). According to Wikipedia, recent research suggests that Acacia pulchella is resistant to, and may actually suppress, the plant pathogen Phytophthora cinnamomi which causes dieback in Jarrah forests. 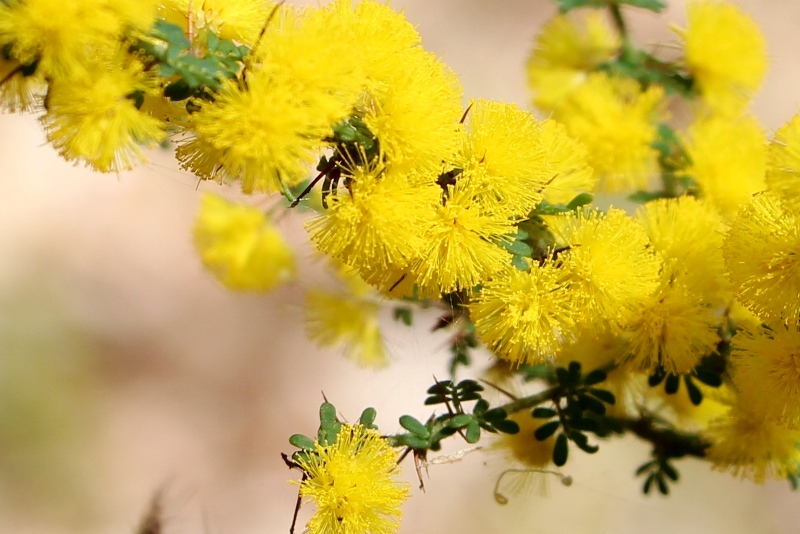 Pulchella means beautiful, which it certainly is and the Moses probably comes from Mimosas…… which was the old group name for them before they were grouped as Acacias or Wattles.